How Electric sign companies win more jobs & manage installations. Win more jobs. because you get quotes to customers in minutes, not days. Speed up your estimating. Set-up and pre-load custom sign templates for easy quoting. Wondering about profit? Know your estimated costs as you quote the job. Automatic bill of materials. 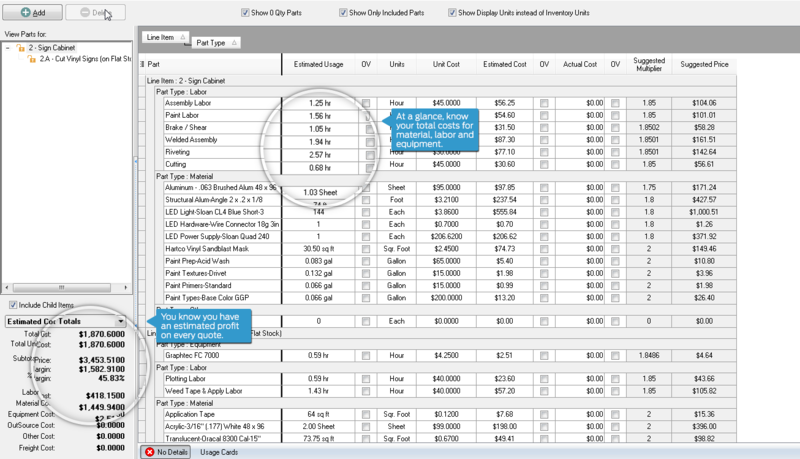 Created directly from the estimate, no additional work on your part. Manage installs and services calls. Schedule crews, equipment and service tickets for sign cabinets, channel letters and all of your electric signs. 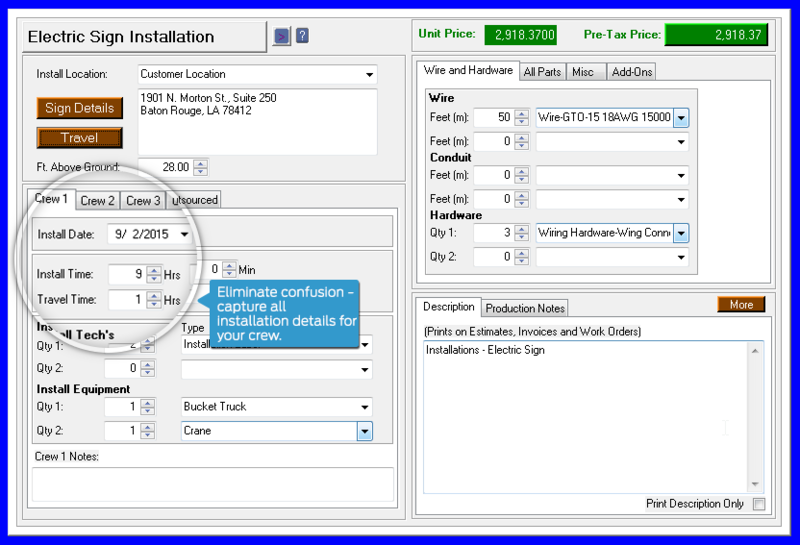 Create detailed installation service tickets. Include travel expenses, onsite contacts and outsourcing information, and more. 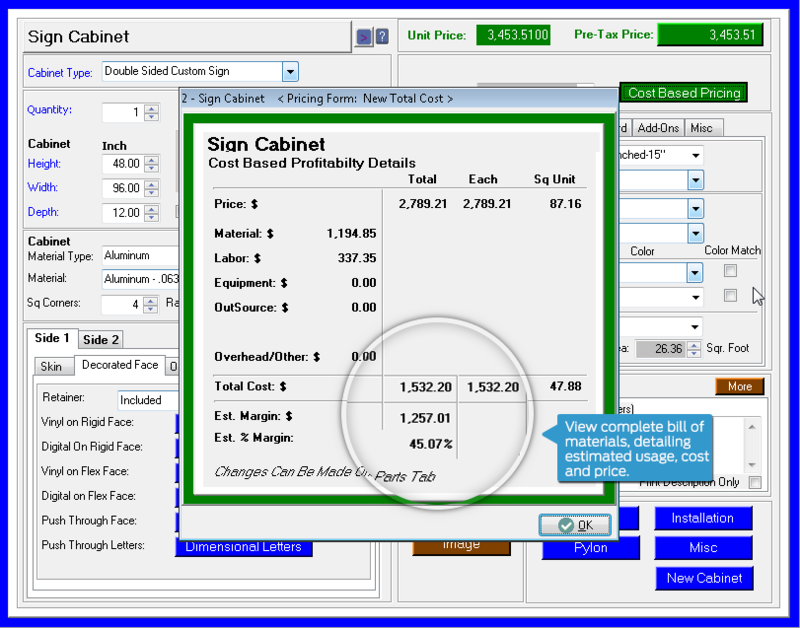 Enter the order specs, then Control automatically prices the product, generates a bill of materials, professional looking estimates and work orders for your team. You'll be able to see your estimated profit on every quote. View total costs for material, labor and equipment. Capture travel, location, equipment and crew details. 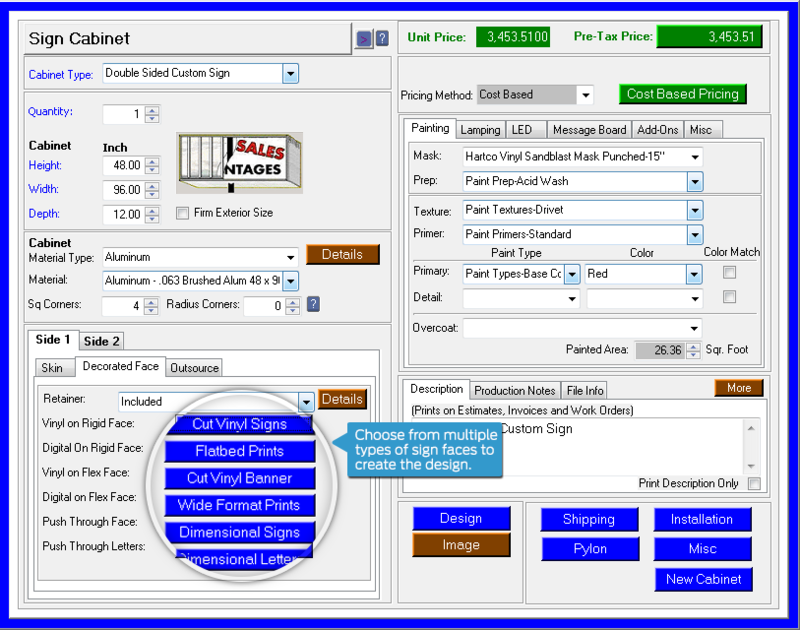 For a normal 4×8 electric sign cabinet, a very strong estimate can be had in about 15 minutes in Control. So now, we know the profitability on every quote we send out. Now we’ve begun spreading Control through the entire business.